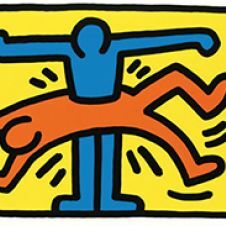 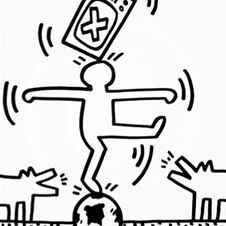 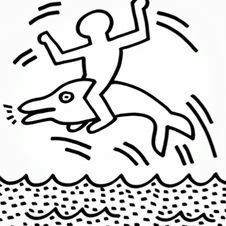 You cannot imagine what art would be like today without Keith Haring's iconography. 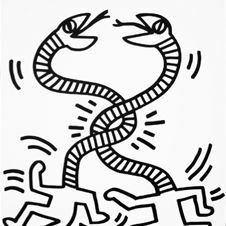 The reduced drawings and prints by the American artist, who passed away far too early, are an inherent part of Pop Art. 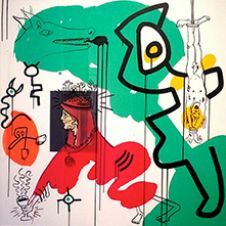 There is much more than just Pop behind the smooth surface and bold colours of his works. 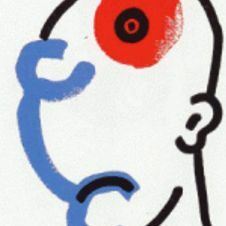 The depiction of his characters is symbolic, and he also uses them that way. 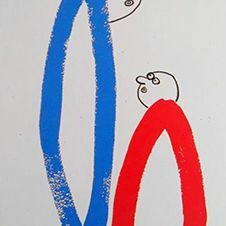 Sometimes expansive, sometimes reduced to a single image, narrations unfold in minimalistic comics. 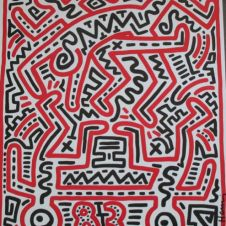 The narrations are as reduced as Keith Haring's style and as allegoric as his topics. 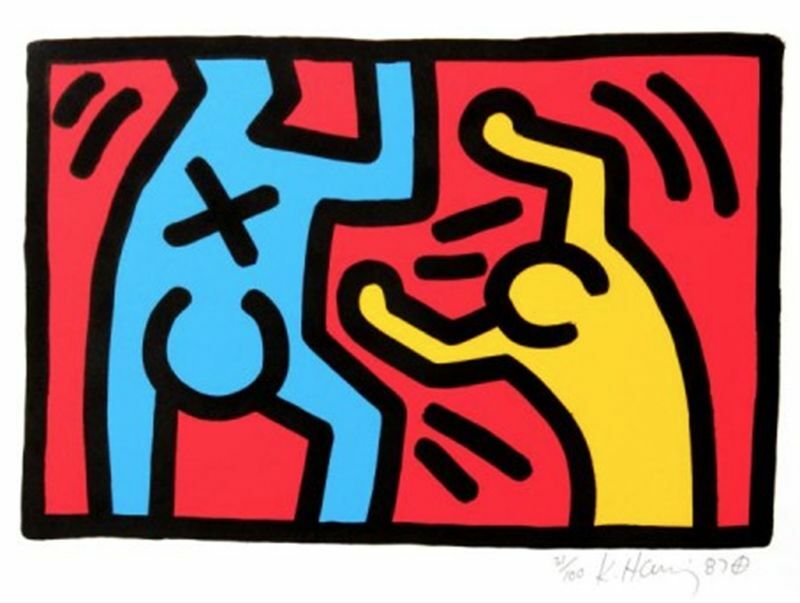 It seems obvious to assume that beneath the two dogs barking at each other lies a social commentary.